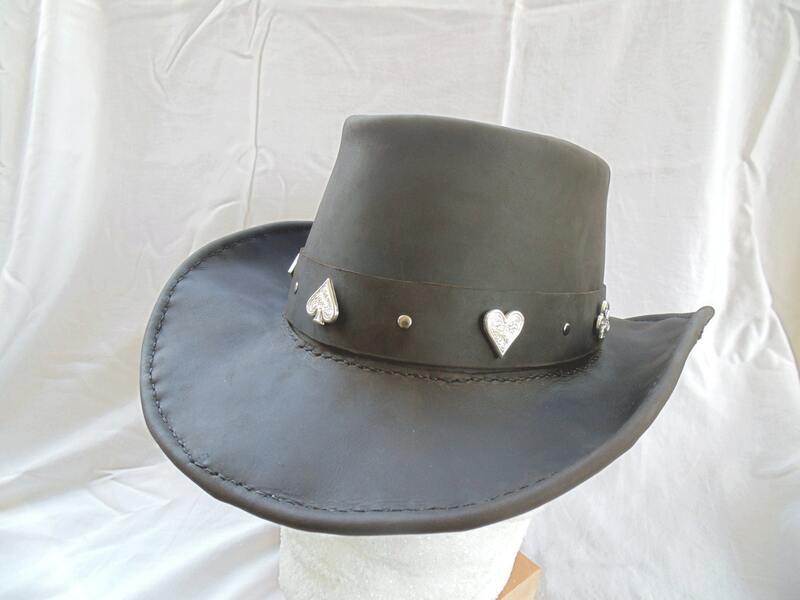 Stone oil leather hat and band with silver card pip conchos and rivets. Perfect for that Cowboy or Western look. Chose all black or chocolate brown. These hats are made to order with your specified size. Can be made with or without sweatband on inside.